Anna is a part time Senior Lecturer in the School of Rural Medicine, and a casual Lecturer in the School of Science and Technology, at The University of New England. 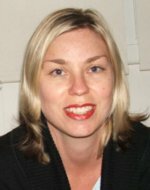 She completed her PhD in 2000 at The University of Queensland (UQ), researching the molecular evolution and phylogenetics of ticks. Anna worked until 2004 at UQ as a postdoctoral fellow researching evolutionary relationships in other parasitic groups. In 2004-2006 she worked for CSIRO Livestock Industries genotyping for QTL analysis of parasite resistance. Anna has been at the University of New England since 2010. Anna has experience supervising PhD and Honours students. Dominik S., Hunt P. W., McNally J., Murrell A., Hall A. (2010). Detection of quantitative trait loci for internal parasite resistance in sheep. I. Linkage analysis in a Romney x Merino sheep backcross population. Parasitology.137(8):1275-82. Barker, S.C. and Murrell, A. (2008). Systematics and evolution of ticks with a list of valid genus and species names. Cambridge University Press. Chapter 1 (pp 1-39) of hard cover book entitled "Ticks: biology, disease and control" edited by P. Nuttall & A. S. Bowman. Murrell A. and Barker S. C. (2005). Multiple origins of parasitism in lice:phylogenetic analysis of SSU rDNA indicates that the Phthiraptera and Psocoptera are not monophyletic.Parasitology Research 97(4): 274-80. Murrell, A., Dobson S. J., Walter D. E., Campbell, N. J. H. and Barker, S. C. (2005). Relationships among the three major lineages of the Acari (Arthropoda : Arachnida) inferred from small subunit rRNA: paraphyly of the Parasitiformes with respect to the Opilioacariformes and relative rates ofnucleotide substitution. Invertebrate Systematics 19 (5): 383-389. Barker, S. C and Murrell, A. (2004). Systematics and evolution of ticks with a list of valid species and genus names. Parasitology 129 Suppl:S1536. Murrell, A. and Barker, S. C. (2003). Synonymy of Boophilus Curtice, 1891 and Rhipicephalus Koch, 1844; is a derived group within Rhipicephalus. Systematic Parasitology 56: 169-172. Shao, R., Dowton, M., Murrell, A. and Barker, S. C. (2003). The rate of gene rearrangement and nucleotide subsitution are positively correlated in the mitochondrial genomes of insects. Molecular Biology and Evolution 20: 1612-1619. Murrell, A., Campbell, N. J. H. and Barker, S. C. (2003). The value of idiosyncratic markers and changes to conserved tRNA sequences from the mitochondrial genome of hard ticks (Acari: Ixodida: Ixodidae) for phylogenetic inference. Systematic Biology 52: 296-310. Barker, S. C., Whiting, M., Johnson, K. P. and Murrell, A. (2003). Phylogeny of the lice (Insecta: Phthiraptera) inferred from small subunit rRNA. ZoologicaScripta 32: 407-414. Murrell, A., Dobson, S. J., Yang, X., Lacey, E. and Barker, S. C. (2003). A survey of bacterial diversity in ticks, lice and fleas from Australia. Parasitology Research. 89: 326-334. Barker, S. C. and Murrell, A. (2002). Phylogeny, evolution and historical zoogeography of ticks: a review of recent progress. Experimental and Applied Acarology 28: 55-68. Murrell, A., Kleeman, S. N., Barker, S. C. and Lester, R. J. G. (2002). Synonymy of Perkinsus olseni Lester & Davis, 1981 and Perkinsus atlanticus Azevedo, 1989 and an update on the phylogenetic position of Perkinsus. Bulletin of the EuropeanAssociation of Fish Pathologists. 22: 258-265. Skerratt, L. F., Campbell, N. J. H., Murrell, A., Walton, S., Kemp, D. and Barker, S. C. (2002). The mitochondrial 12S gene is a suitable marker of populations of Sarcoptes scabiei from wombats, dogs and humans in Australia. Parasitology Research 88: 376-379. Hlinka, O., Murrell, A. and Barker, S. C. (2002). Evolution of the secondary structure of the rRNA internal transcribed spacer 2 (ITS2) in hard ticks (Ixodidae). Heredity 88: 275-279. Shaw, M., Murrell, A. and Barker, S. C. (2002). Low intraspecific variation in the rRNA internal transcribed spacer 2 (ITS2) of the Australian paralysis tick, Ixodes holocyclus. Parasitology Research 88: 247-252. Murrell, A., Campbell, N. J. H. and Barker, S. C. (2001). A total-evidence phylogeny of ticks provides insights into the evolution of life cycles and Molecular Phylogenetics and Evolution 21: 244-258. Murrell, A., Campbell, N. J. H. and Barker, S. C. (2001). Recurrent gains and losses of large (84-109 bp) repeats in the rDNA internal transcribed spacer 2 (ITS2) of rhipicephaline ticks. Insect Molecular Biology 10: 587-596. Murrell, A., Campbell, N. J. H. and Barker, S. C. (2000). Phylogenetic analyses of the rhipicephaline ticks indicate that the genus Rhipicephalus isMolecular Phylogenetics and Evolution 16: 1-7. Murrell, A., Campbell, N. J. H. and Barker, S. C. (1999). Mitochondrial 12S rDNA indicates that the Rhipicephalinae (Acari: Ixodida: Ixodidae) isparaphyletic. Molecular Phylogenetics and Evolution 12: 83-86.